It’s impossible to go to Rwanda and not encounter the stark reminders of the country’s painful past. Genocide memorials abound. 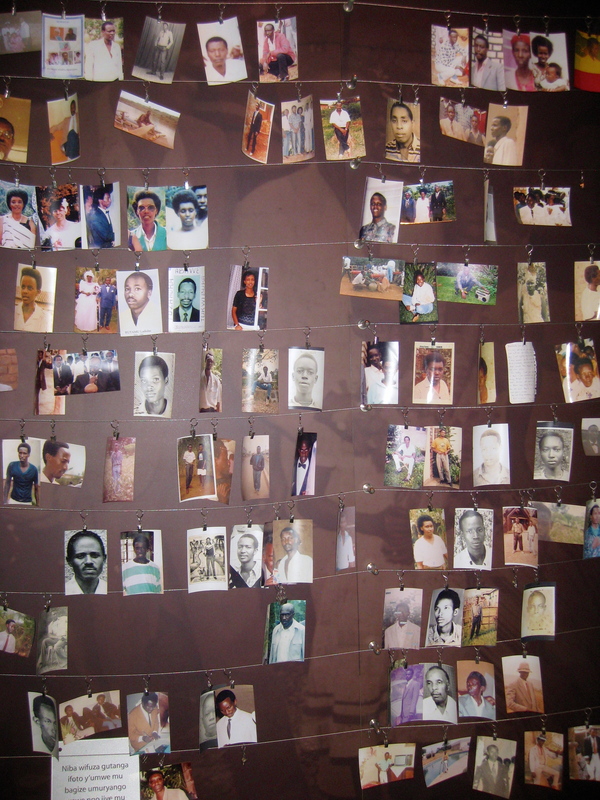 In 1994, around 1 million people (in a small country of only ~10-11 million), mostly Tutsi and some moderate Hutu, were brutally murdered in one of the worst genocides in the world. In Kibuye, where I stayed on Lake Kivu, 9 in 10 Tutsi were slaughtered. 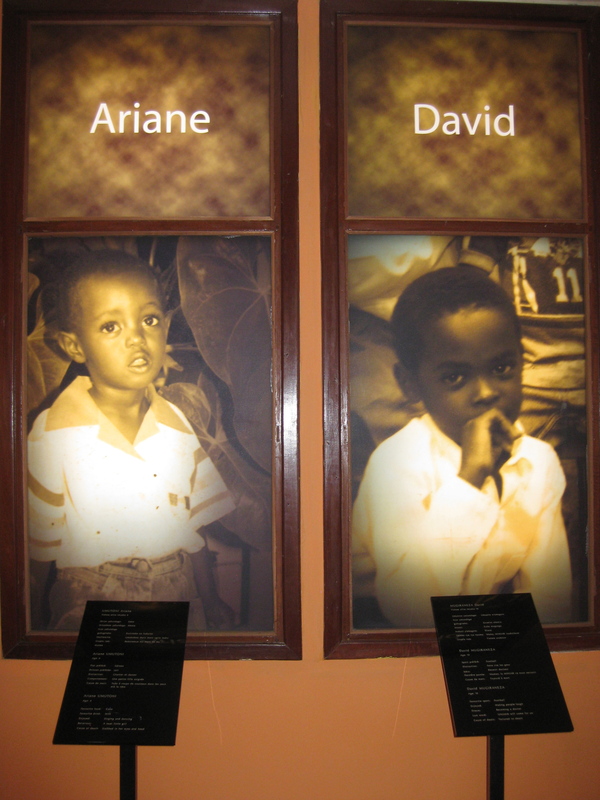 The Kigali Genocide Memorial was raw, unnerving and heavy. It’s beautifully put together. Gardens on the outside, overlooking the hills and ridges of Kigali, are home to mass graves of 250,000 people. 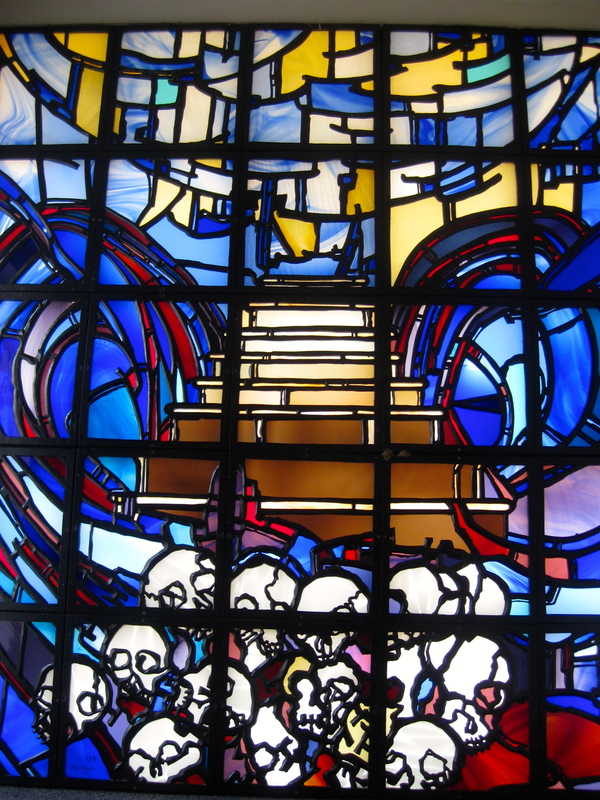 Inside the Memorial, multimedia displays paint a vivid picture of the 1994 genocides. A plaque inside the memorial reads: The streets were littered with corpses. Dogs were eating the rotting flesh of their owners. The country smelt of the stench of death. The genocidiares had been more successful in their evil aims than anyone would have dared to believe. Rwanda was dead. It explores how colonization played a large part in creating the ethnic division. How there were warning signs; small flare ups of violence against Tutsi in the years leading up to the genocide. How the international community chose to ignore it, doing nothing. It explores the aftermath of the violence. The large number of orphans and women dealing with HIV after being raped by infected men. And lastly, it addresses the healing, rebuilding and coming together as a nation. Replacing the Hutu and Tutsi distinction with simply being Rwandan. A room full of pictures of the victims poignantly illustrates the scale of the genocide. But most disturbing was the Children’s’ Room. It displays a child’s picture accompanied by key facts. Name, Age, Favorite Food, Favorite Toy. Best Friend. Last Memory—Mother being killed. How Murdered—Machete, Thrown against a wall, Machete while in mom’s arms, Set on fire. This memorial had a profound impact on me. Certainly the use of multimedia brings it to life in a painfully touching way. But I also think it impacted me because I remember this happening. I was in college. I remember wondering how the US government could intervene in Kuwait but not Rwanda. Even though I shamefully knew the answer. One reason I enjoyed visiting Rwanda so much was the people. The Rwanda people are warm and friendly. They were always willing to help me (and I needed help often). I never felt hustled or unsafe. It was easy to forget in these moments that such a tragedy happened so recently. But then I would see someone…missing a limb, a scare across their face, struggling on crutches…and my heart would ache. Thank you for bringing that to us. That difficult time was tragic for the Rwandans and the memories are painful. Very difficult but necessary for us to read. Thank you, Michelle, for sharing this very sad and tragic time with us. We all need to be reminded of it.